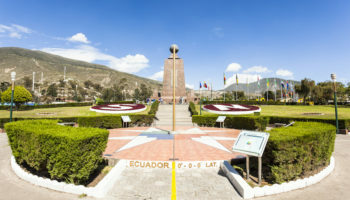 As the name implies, the nation of Ecuador straddles the equator itself, bringing together the Northern and Southern hemispheres. 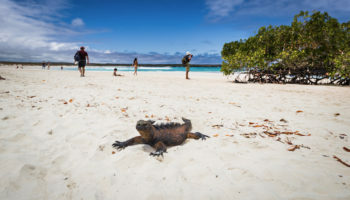 Ecuador is a vibrant, fascinating country in South America, and it makes for an incredible destination. If you’re planning an upcoming trip to Ecuador, be prepared for everything from volcanoes to colonial cities to lush jungle terrain. While you could spend a month exploring everything, 2 weeks in Ecuador should be enough to see the country’s highlights. 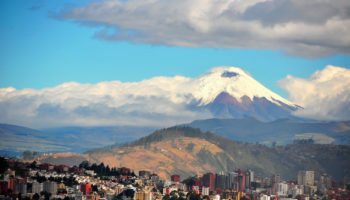 Many Ecuador itineraries start in Quito, the nation’s capital. 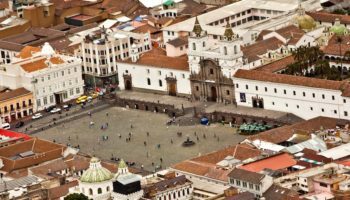 Quito is unique for a number of reasons, but most travelers will appreciate that is has such an amazingly preserved historic center. 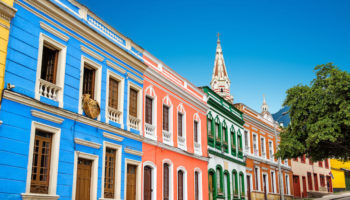 The Old Town is packed with architecture dating from the 16th to the 19th century, and just a few of the world-class museums include the enormous art collection at the Museo del Banco Central and the Museo de la Ciudad, where scenes from Ecuador’s history are reenacted live on an hourly basis. 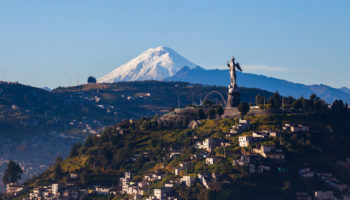 Quito is the second highest capital city in the world, and to truly appreciate that fact you’ll want to head outdoors with a stroll through the Parque La Carolina or a ride on the Teleferico cable car. While you’re staying in Quito, set aside a full day to explore Otavalo, a city just 80 km (50 miles) north of Quito. Otavalo is home to an indigenous population known as the Otavalos, a group recognizable thanks to the long hair of both men and women. You can spot the Otavalos in their customary dress, which is a dark poncho for men and colorful, embroidered waistband over a skirt for women. 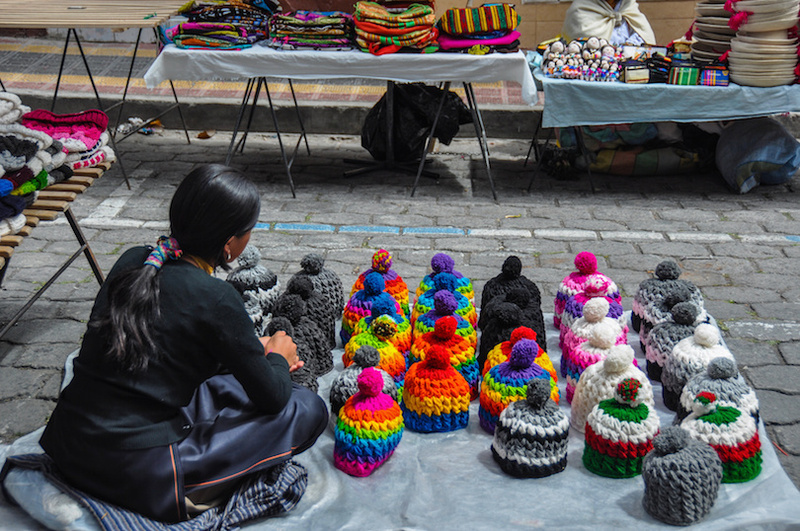 Shop for handicrafts at the weekly Mercado Artesanal, one of the most famous outdoor markets in the Andes, and then learn more about the local culture by visiting the Museo del Pueblo Kichwa or one of the local villages, where guided tours are offered. Embrace the incredible scenery with a short detour to the Peguche Waterfall just two miles outside of the city. 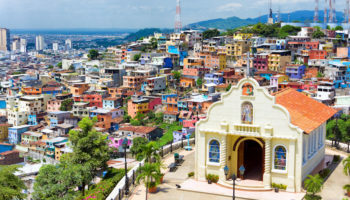 Tena is a relatively small jungle town that is also known as the cinnamon capital of Ecuador, but it more importantly serves as the gateway to the Ecuadorian Amazon. If you want to explore the natural side of the country on your trip, then spending time in Tena is ideal. 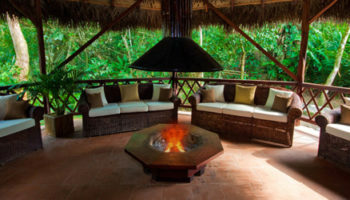 While in the region, you can go caving through the underground labyrinth called Cuevas de Jumandy, try out a rafting expedition, go on a canoe tour through the Amazon to get to the trading junction of Misahuallí or hire a guided to trek to the summit of the Sumaco Volcano. 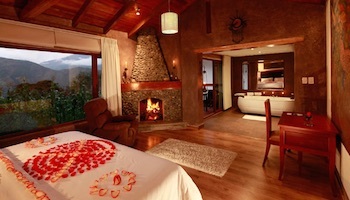 Under the shadow of the incredible Tungurahua Volcano in the Ecuadorian Andes highlands is the city of Baños. 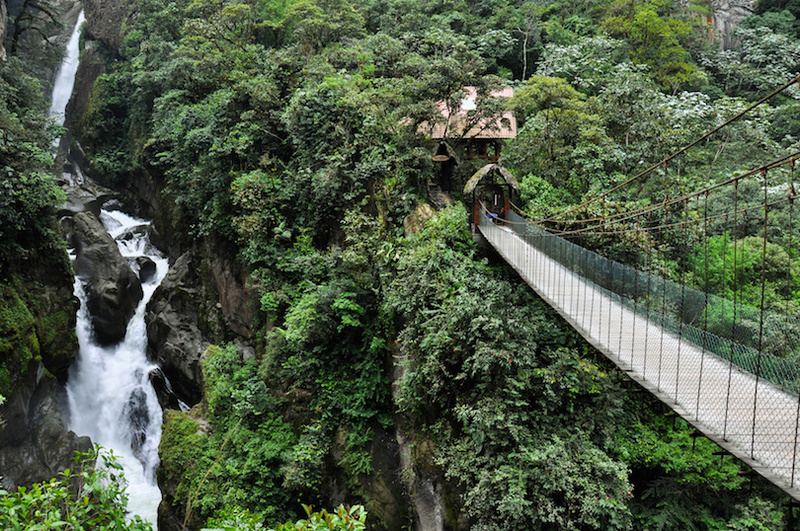 Named for the city’s hydrothermal springs, Baños is a scenic getaway spot that is loaded with the potential for adventure. It can feel a little touristy, but it can’t be beat if you’re in search of some adrenaline. Spend your time rappelling down the side of a waterfall, riding a cable car directly over the stunning Manto de la Novia Waterfalls, cycling along the thrilling downhill Pailón del Diablo path or rafting in the Pastaza River. After a day of thrills, you can relax and unwind by soaking in one of the thermal baths, some of which offer waterfall views while you recline in the warm water. 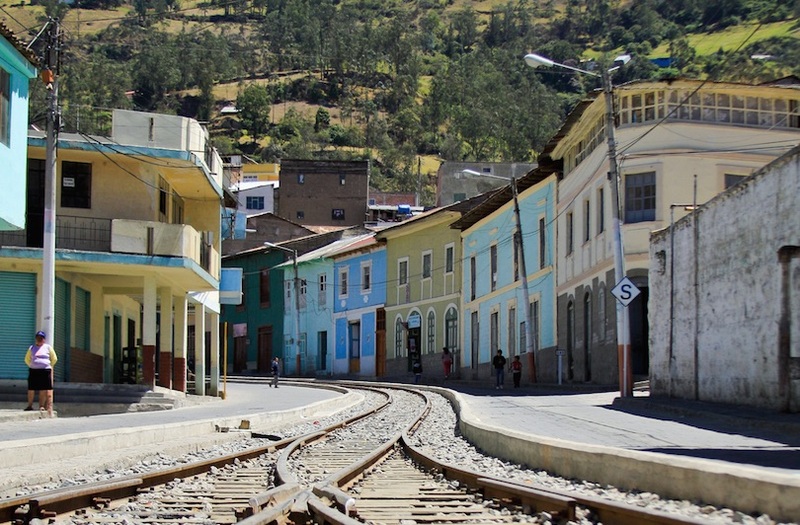 Alausi is a very small town found in the Andes highlands in Ecuador, but it is often busy thanks to tourists who want to ride the famed Devil’s Nose Train. Beside the thrilling train ride, Alausi boasts a number of charming eateries where you can fill up on the local cuisine. Try dishes like Choclo, a dried corn snacks available from street vendors, or Librillo, a tripe entree popularly served with rice in the Ecuadorian mountains. 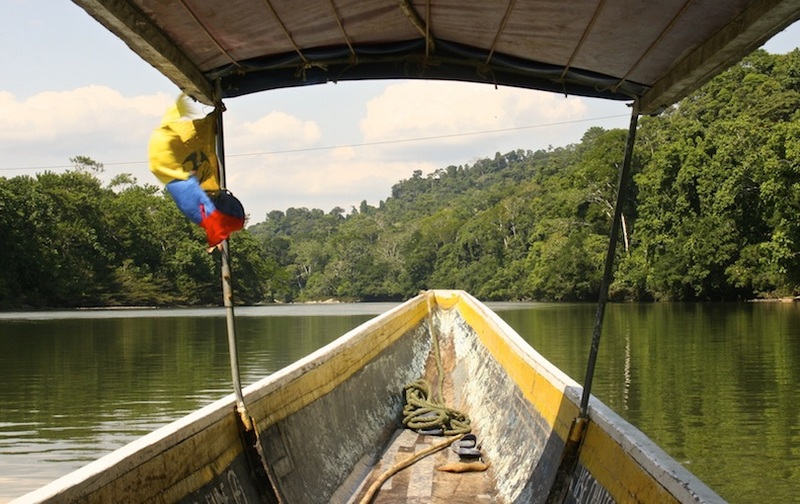 Alausi is also home to several farms, many of which offer guided tours and even accommodation for those who want a realistic look at rural life in Ecuador. 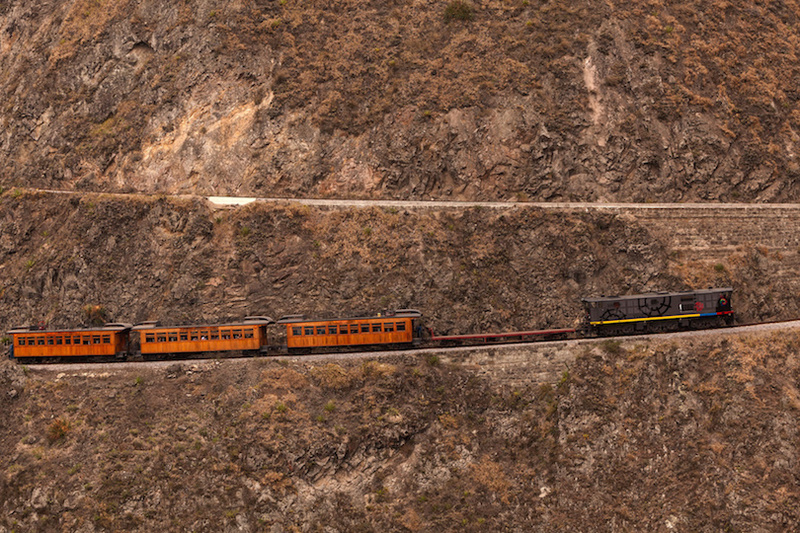 You won’t want to leave Alausi without riding the Devil’s Nose Train, known in Ecuador as La Nariz del Diablo. The Devil’s Nose is a breathtaking sheer rock face that looks completely impossible to navigate, but a cleverly designed train route takes you right up its steep face. In under two hours, you will pass between mountains and sidle up to waterfalls, making this both an amazing chance to experience an engineering feat and one of the most densely-packed scenic tours in the country of Ecuador. 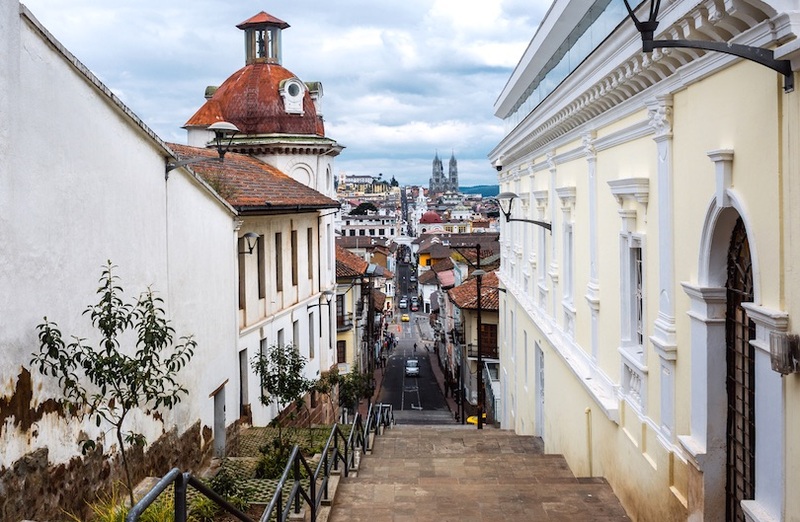 Cuenca is located in Southern Ecuador, and is known for its mild climate that persists year-round. 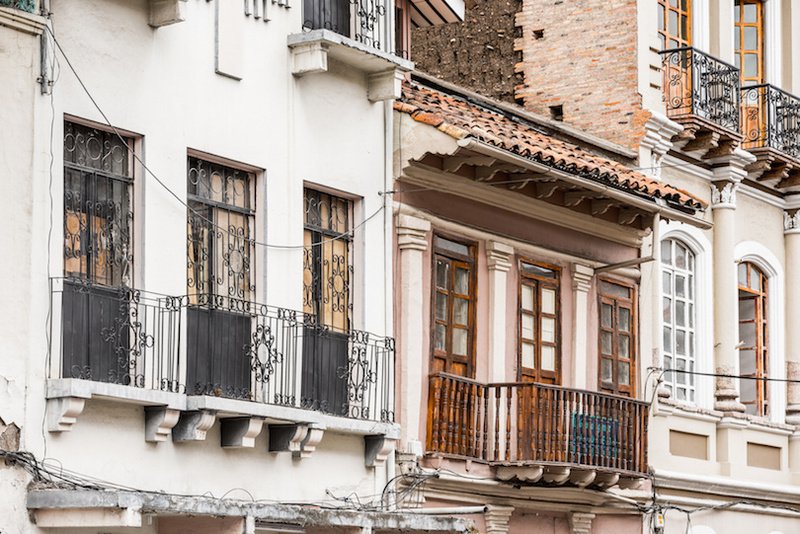 Cuenca boasts an array of beautiful colonial buildings and a few ruins dating to the ancient Inca Empire, making it a must-see spot for historical buffs. In Cuenca, you can tour the historic monuments, explore the impressive collection at the Museo del Banco Central and Pumapungo or spot animals in the Amaru Zoo. You’ll want to spend some time in the Parque Calderon, the city’s main plaza, and admire the beautiful 19th century cathedral called El Sagrario. For an unforgettable evening, head to the Barranco, a riverwalk destination with paved trails, bars, cafes and shops available to pedestrians. 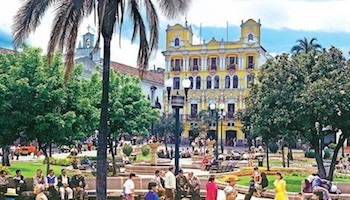 Although Quito is the capital of Ecudaor, Guayaquil is its largest city. 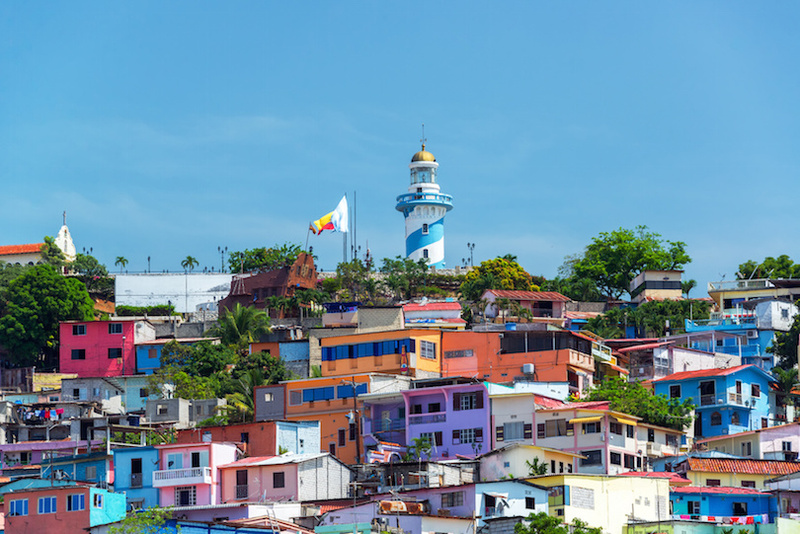 Guayaquil is a port city known for incredible seafood and a diverse culture. While you’re there, you might want to explore the Parque Histórico, a lush green park that serves as the home to several historic buildings, the gardens and butterfly farm at the Jardín Botánico, the Mercado Artesanal for souvenir shopping and the popular Salinas beach, which offers everything from seasonal whale watching to seafood feasts right on the sand. If your schedule allows, take the time to hike in the Santa Ana & El Carmen Hills in order to soak in stunning views over the city and the sea below. 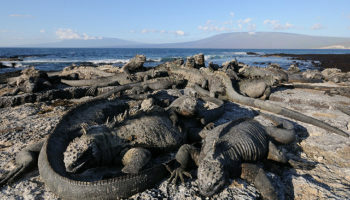 If you are planning to visit the Galapagos Islands next, Guayaquil is the cheapest place in Ecuador to take a flight from. I really like you 2 week tour of Ecuador but you do not say whether you should rent a car or use public transport. Please advise. 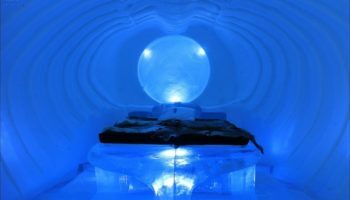 Really very nice article. Images are quite vibrant. I was in Equador recently for a week. It was a great experience.